Workers remove the sign from the former Waffle House location on Dickson Street. 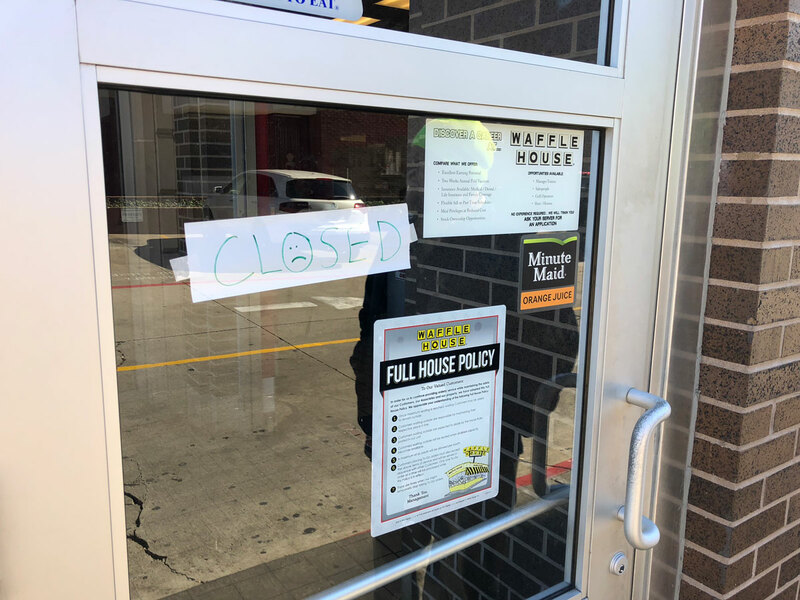 Posts circulating on social media last month indicated that the Waffle House location on Dickson Street would soon close for business. Employees said they’d been given the news, but the manager on duty wouldn’t confirm those rumors at the time. 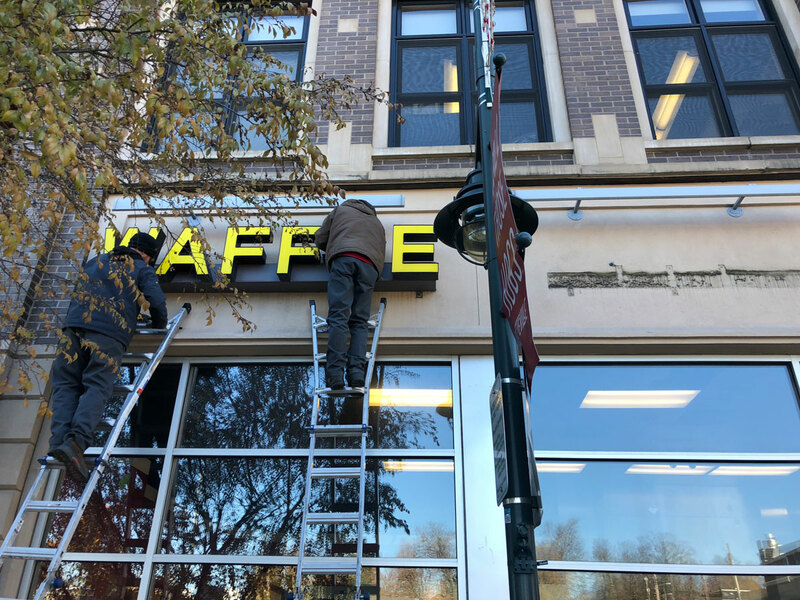 The restaurant indeed closed for good on Nov. 11, and a crew on Tuesday was spotted removing the sign from the building. A note posted on the door simply stated “closed” (with a sad face drawn as inside the “o”). The restaurant opened in 2011 on the ground floor of The Dickson. It was a bit of an unconventional location for the chain that had more typically focused on stand-alone buildings around the country near interchanges, though at the time, more urban-style Waffle Houses were popping up around the country. Waffle House still operates a location in Fayetteville at 2311 W. Martin Luther King Jr. Blvd. Next up, it appears as though a company called Insomnia Cookies is set to move into the location. The New York-based company that operates around 100 locations nationally, recently announced plans for a Fayetteville location on Facebook. According to an application filed with the Arkansas Department of Health, the shop will be located at 609 W. Dickson Street, Suite 202 inside a space on the ground floor of The Dickson. The menu focuses on cookies sold individually, in packs, as cookie sandwiches, and in the form of cookie cakes for special occasions. Most locations are open late, and offer delivery. The company was founded by then-University of Pennsylvania college student Seth Berkowitz in 2003, according to the company’s website. Berkowitz ran the company from his dorm room, before eventually opening his first brick-and-mortar location in Syracuse, New York in 2006. According to reports, Krispy Kreme (the doughnut company) acquired a majority stake in the company over the summer.